How do you conserve a lake in a region where people can’t afford to put food on the table? High in the mountains of Guatemala, scientists are working to answer that question. Guatemala is one of the poorest countries in the Western hemisphere. 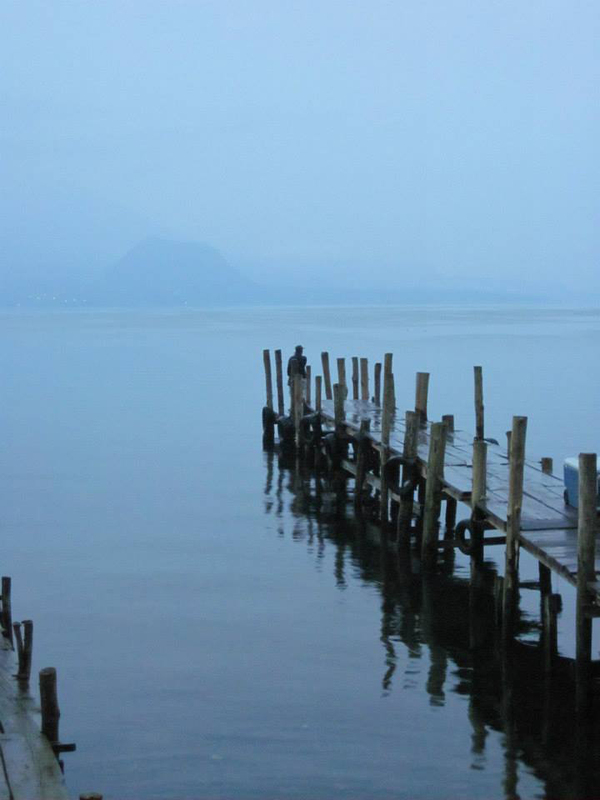 It is also home to the deepest, and arguably prettiest, lake in Central America: Lake Atitlán. However, the lake’s water quality has been rapidly declining. The lake’s traditionally clear blue waters are becoming a darker shade of green as the lake becomes more eutrophic. How do you protect a lake when poverty, population, and an annual hurricane season work against you? With a grant from the U.S. Agency for International Development, Chandra is training Guatemalan students and citizens to monitor the water quality of Lake Atitlán. Working with scientists from both the U.S. and Guatemala, Chandra is also working to understand why water quality is degrading and what can be done to stop it. The degrading water quality first grabbed attention in late 2008 and 2009 when cyanobacteria bloomed in the lake for the first recorded time. A second bloom in 2009 was worse and lasted two months before clearing. Cyanobacteria blooms can be harmful, producing toxins that affect fish, pets, and humans. Fortunately, those bloom weren’t producing toxins, but that didn’t stop people from fearing it. That was a problem, as most of the local population depended on the lake for drinking water and transportation. “People who lived around the lake did not know what was causing the bloom or what effects it might be having. People were scared,” Chandra said. Another big increase in cyanobacteria was noted in 2010, less than two months after Tropical Storm Agatha washed whole mountainsides into the lake. 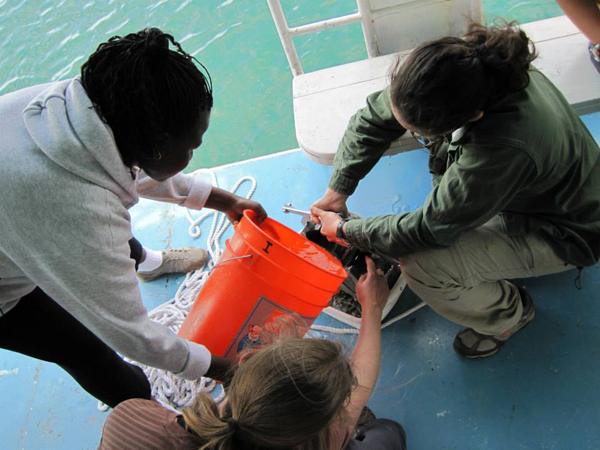 Chandra and his team have developed a series of short courses and field training programs to teach students and community members about the lake and basic limnology. Working in both Spanish and English, students rise with the sun and head out to sample the lake each day. The students learn about limiting nutrients, phytoplankton, pathogens, water clarity, and the importance of waste water treatment. Students also spend time in the watershed learning about how land use affects water quality. They also visit wetlands to learn about species diversity and nutrient cycling. The local ‘Amigos del Lago’ organization is also contributing to the program by providing space for students and scientists to stay and learn.